so I could play along in the Color Dare challenge. This cute image is from the Progressive challenge at Limited Runs and I used ProMarkers to color it. I cut it with a scalloped die from Memory Box. I printed the sentiment and cut it by hand. I added the red, polka dot ribbon and the white bow with a pearl but left it rather CAS. Thank you for sharing with us at the Color My Heart Color Dare...I think having the elves clean up is a marvelous idea! This is fabulous Connie, yes I agree the elves should have the left overs from Christmas. Hope you are having quality family time. 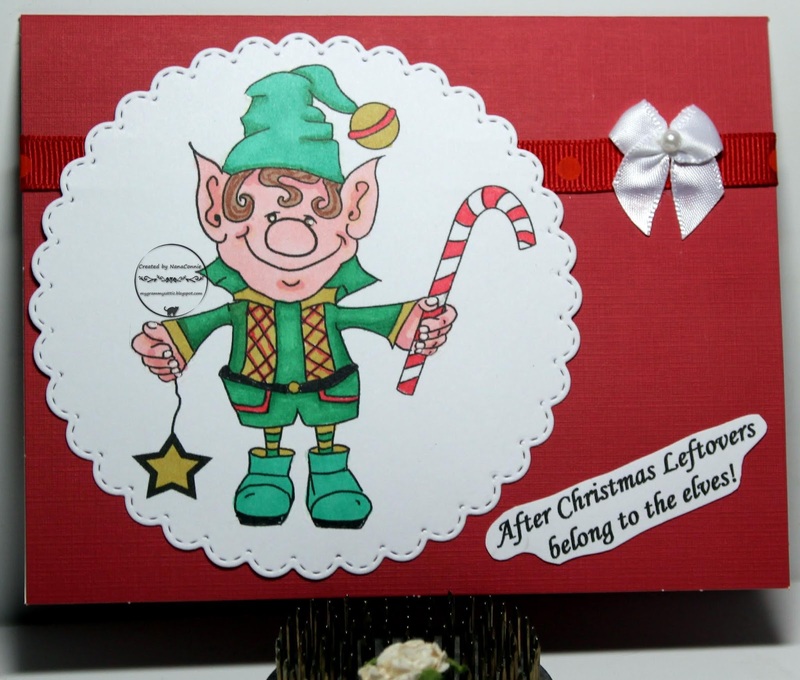 The elf is SO cute and you did a great job on the coloring. Fun card! Thanks for sharing at Color My Heart Color Dare. He certainly looks a very useful elf. Can't send my Elf back unfortunately as Santa has sent him to me to live permanently with me as he got kicked out of the North Pole!! Thankyou for coming and spinning the fairy wheel with me this week. Hugs Mrs A.
Nana, did you forget us at Double Trouble...this card is so meeting the 3-2-1 recipe and the "something from the kitchen", and of course you certainly did use the Color Dare's "Bold and Bright"...please share with us. Adorable and fun card and like your post on left-overs. Your elf is great!! Love your card! Thank you for joining us at Color Dare! Great idea, NanaConnie! So cute! Great idea and a cute image and sentiment. 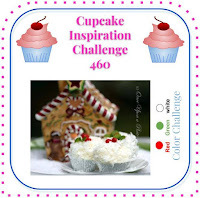 Thanks for joining us at the Cute n Crafty Challenge Blog and all the best for the New Year. So cute! Thank you for joining us at Color My Heart Color Dare Bold and Bright Challenge. Such a cute card, I love that elf! Such a cute elf. So many sweet elves in this challenge. I love your colouring and design. 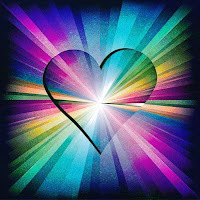 Thanks for being Bold & Bright with the colour my Heart Colour Dare Challenge! Super fun image,love it and the design too. Super sweet. Thank you for joining us for our 'Anything Goes' Challenge #234 at A Gem of a Challenge.